A sketch of the Arctic by Canadian artist Lawren Harris is coming to auction with a top end estimate of $700,000. 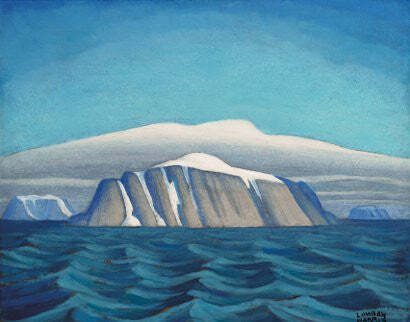 Island Off Greenland, Arctic Sketch XIX was produced by Harris in 1930 during his trip to the great white north with fellow Group of Seven artist AY Jackson. The 30 by 38cm oil work will headline the Joyner Spring Auction of Important Canadian Art at Waddington's Auction Galleries in Toronto on May 27. It formed one of a small number of sketches that led to Harris' major work South Shore, Bylot Island, which sold for $330,000 in 1988, evidence of the popularity of Harris with art investors. Also featuring is a 1914 piece by Tom Thomson, Fall Woods, Algonquin Park, which has a high end estimate of $600,000.